Hi guys, welcome back to my blog! 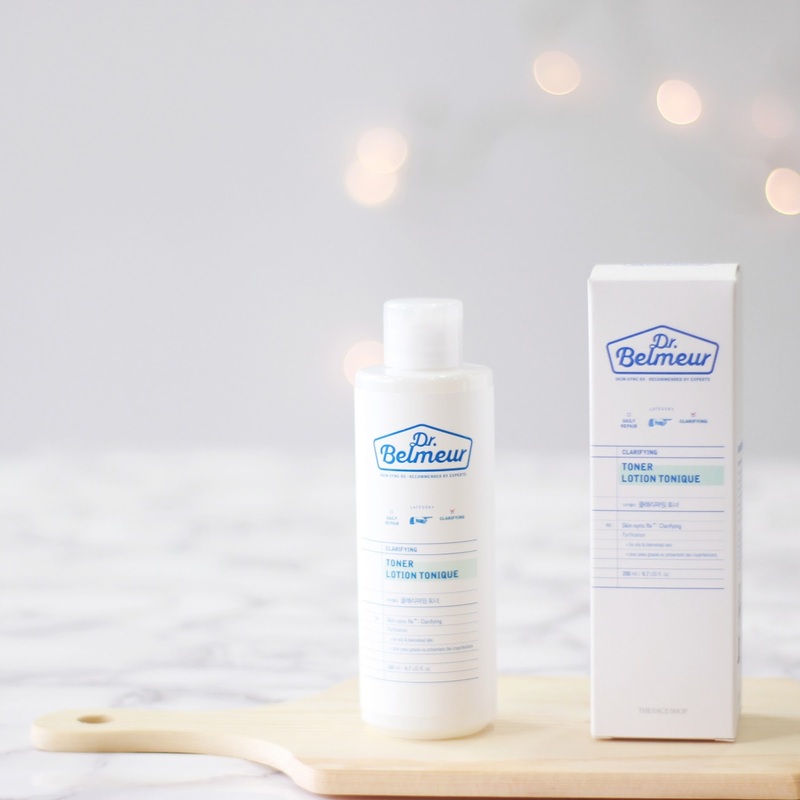 Today's post will be my review of the new Dr. Belmeur Clarifying Line from The Face Shop! 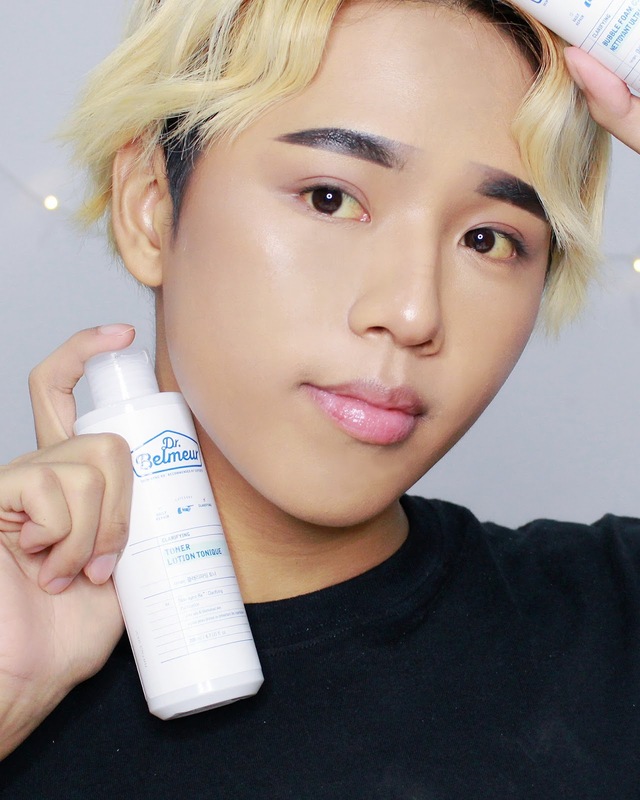 I also made a video about it, so if you guys would like to hear me talk about it and see how I use the products instead of reading about it, click the play button below! So, back to the topic. As you all may or may not know, I have extremely oily and acne prone skin. 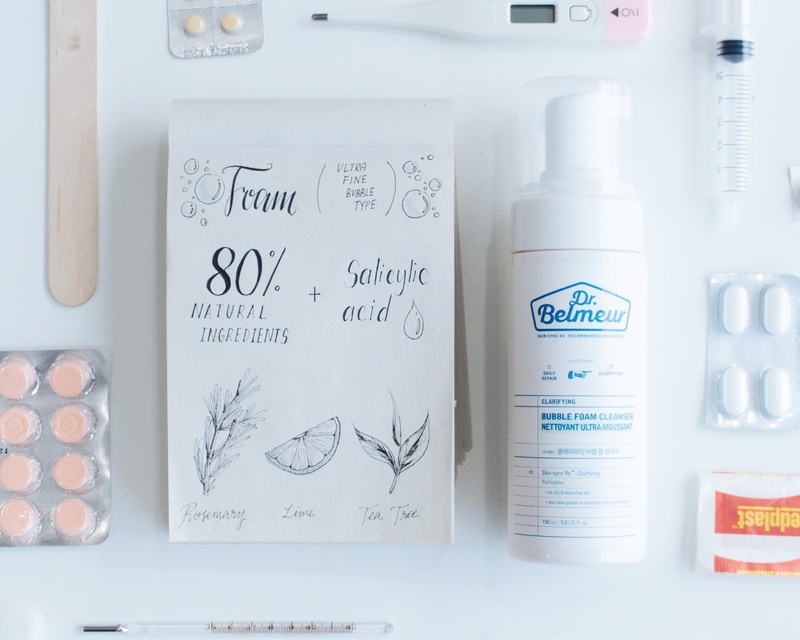 I've managed to get over my acne over the course of several years, and my number 1 tip for overcoming acne would be to stick to a basic skincare routine with a cleanser + toner + moisturizer, as well as some acne products for spot treatment. 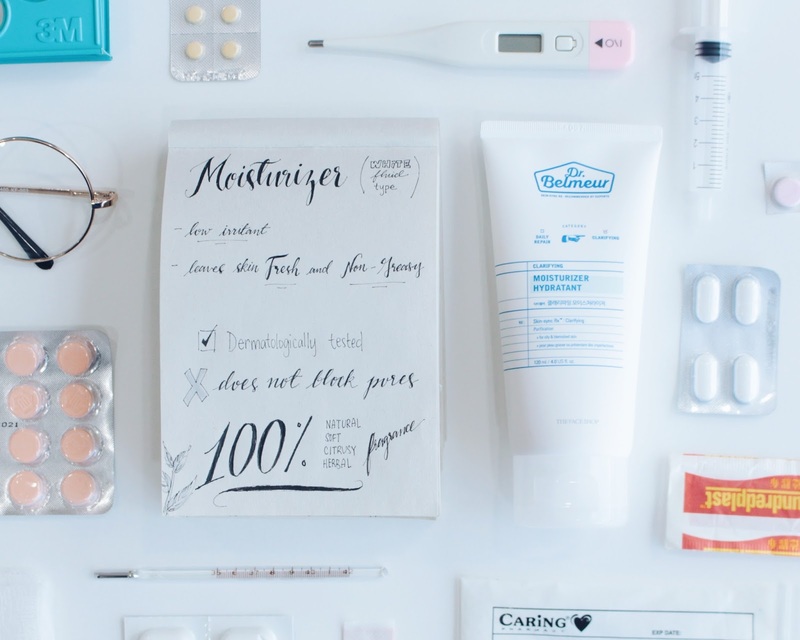 Although the 10-step skincare routine is good, I recommend starting with the basics first. 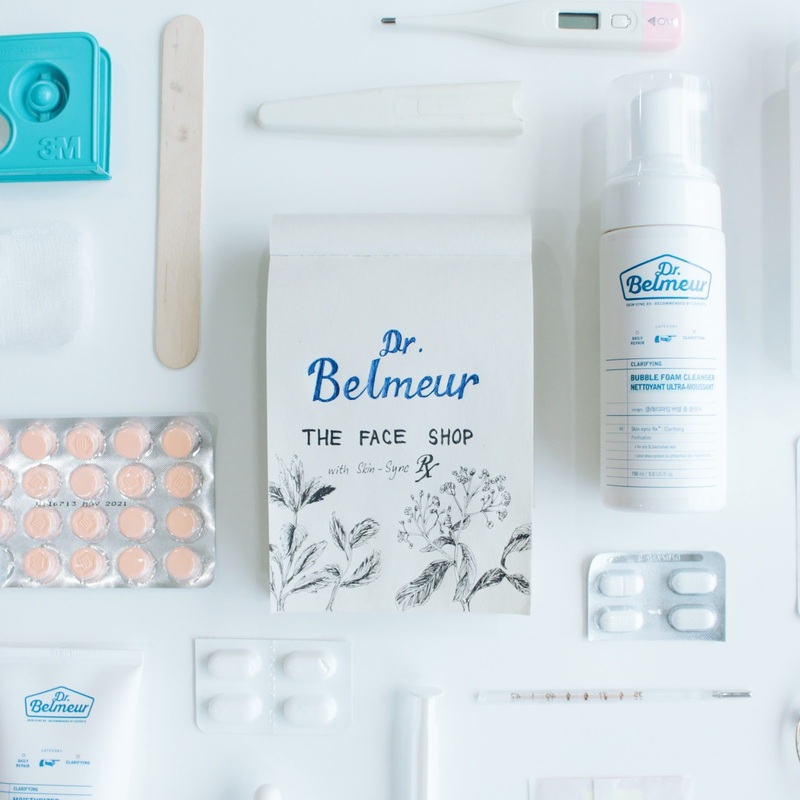 The new Dr. Belmeur Range from the Face Shop is their first cosmeceutical range, which is a combination of cosmetics and pharmaceuticals. 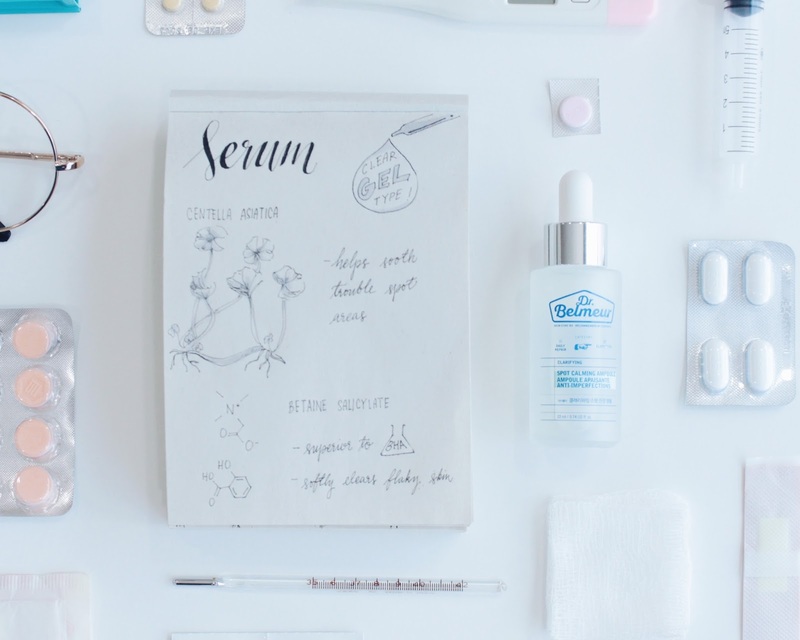 Cosmeceuticals are cosmetic products with biologically active ingredients that have medical or drug-like benefits. 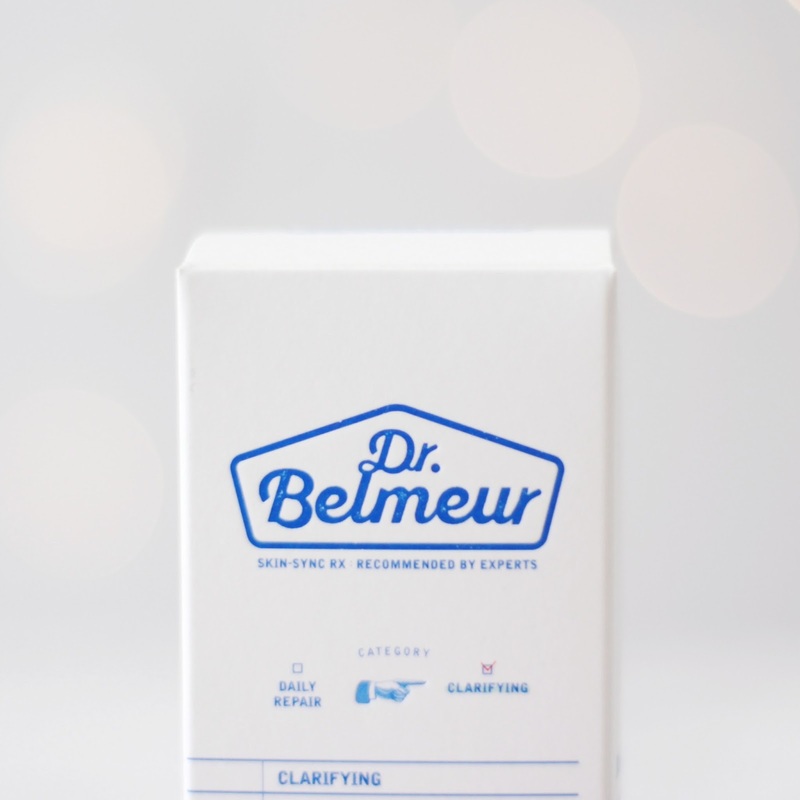 The Dr. Belmeur line has active plant-based ingredients that are low-irritant, and are recommended by skin experts. 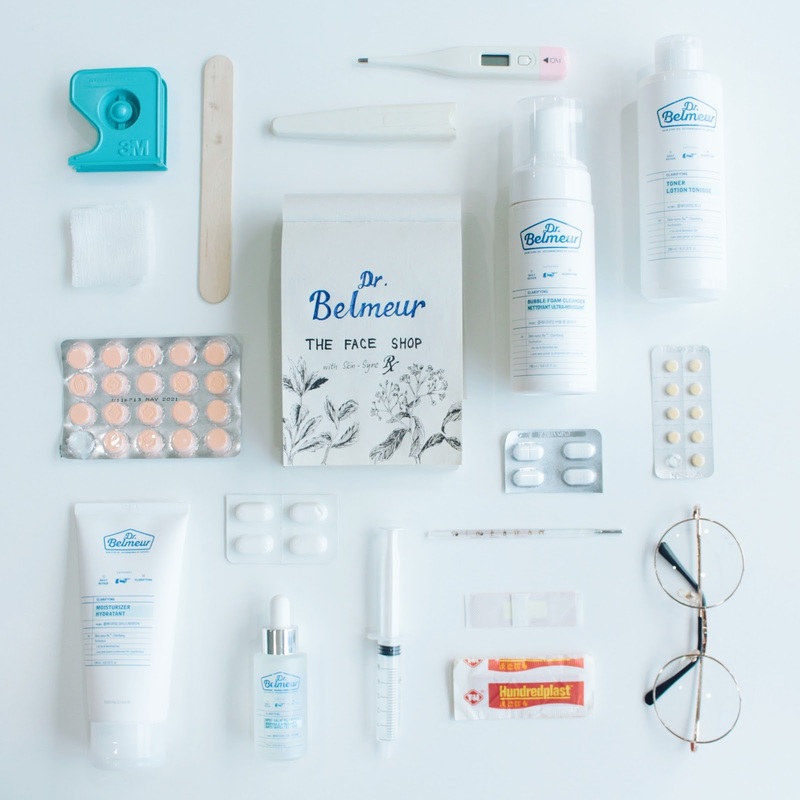 At first I thought Belmeur was the name of some famous doctor, but I later found out that Belmeur is a combination of "Belle" meaning beautiful face and "Humeur" which means feeling or good feeling! 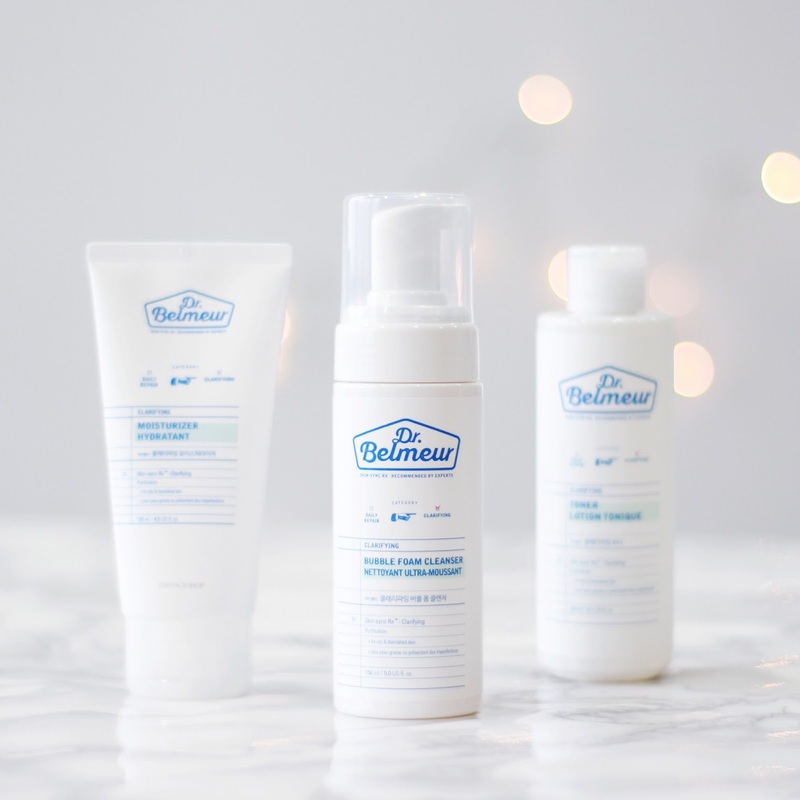 There's 2 lines in the Dr. Belmeur Range, the Daily Repair line for sensitive skin and the Clarifying line customized for oily and acne skin like me. 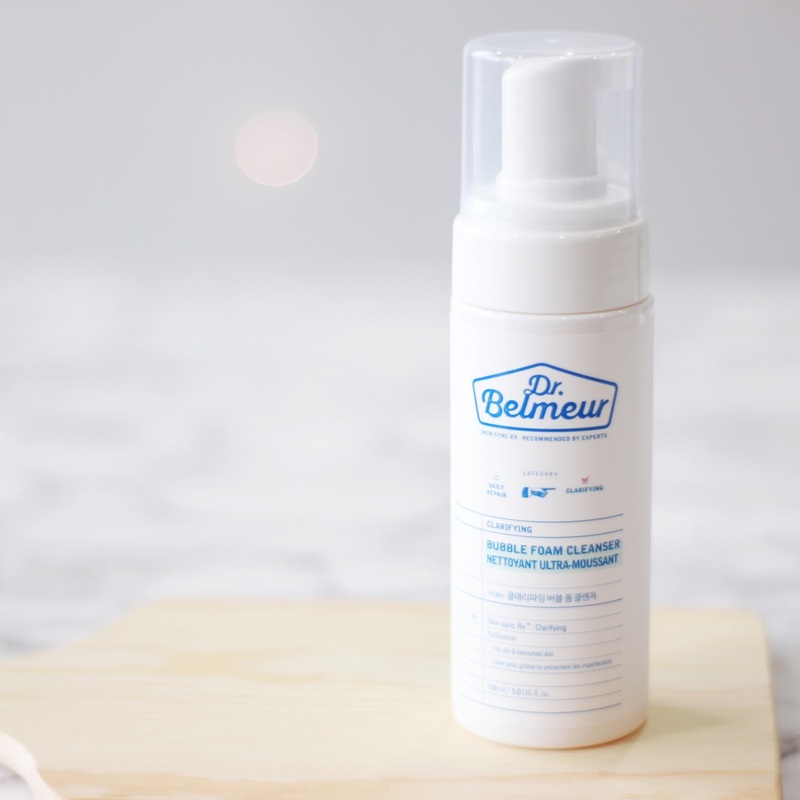 Now that you know more about the background of the Dr. Belmeur line, let's get onto my honest reviews and thoughts on each product! This cleanser is a foam type cleanser which has a mesh pump to create ultra fine bubbles. 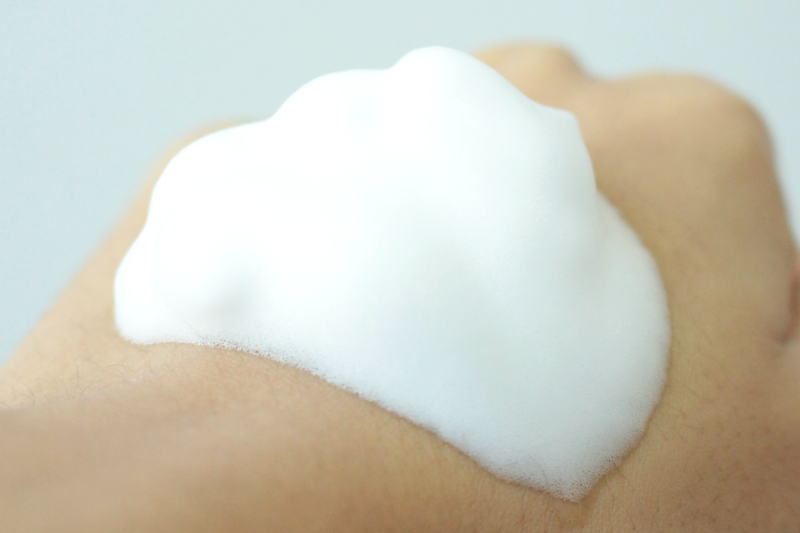 I quite like it because instead of squeezing the product out and foaming it out by myself, I can just easily use the foam directly onto my damp skin. Its white in colour and has a slightly lemon-y/citrus-y scent. This is because of the natural rosemary, lime & tea tree fragrances added. I really like lemony scents so this was another plus point for me. So far I think this cleanser is really great at cleansing my oily skin without making it dry. It also hasn't broken me out at all, which is my #1 goal in any skincare product that I use. In fact, I haven't broken out at all after using this cleanser, and its likely because it has 80% natural derived ingredients and salicylic acid (which is an ultra popular ingredient in acne products worldwide). It also doesn't have any sulfate-based ingredients so it doesn't irritate my skin at all. I have a tendency to use astringents because they remove oil really well and keep my acne at bay, but astringents are very pure and have very high levels of alcohol. This toner however is an alcohol-free toner, and it claims to be low irritant, which I can testify! 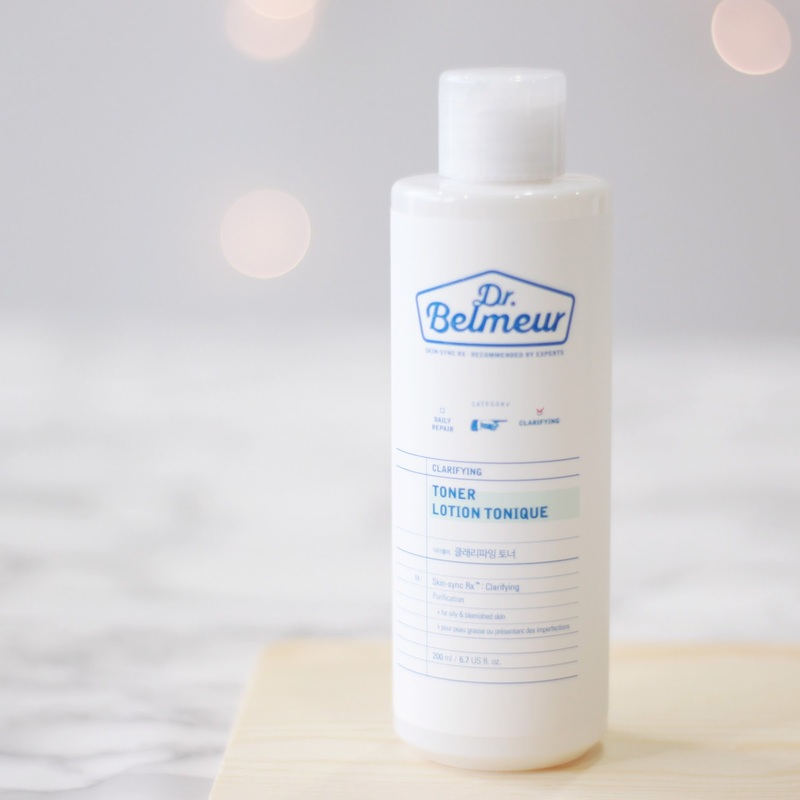 What I like about this toner is it removes excess sebum from my skin and actually kinda controls my oil secretion throughout the day too (and that's because this product is supposed to help enlarged pores from creating excess sebum!). This toner is also supposed to help with hyperpigmentation and acne scarring, but so far I don't think it helped that much on that end 😅 it does remove excess oil and moisturize the face tho! The consistency is very watery and moisturizing, and it has the slight citrusy smell like the cleanser too. After drying my face of the excess water after cleansing my face, I usually just put a coin sized amount on a cotton pad and wipe my face upwards. I actually sometimes use this as an essence and just pat it onto my skin too! Before locking everything in, I do my spot treatment. 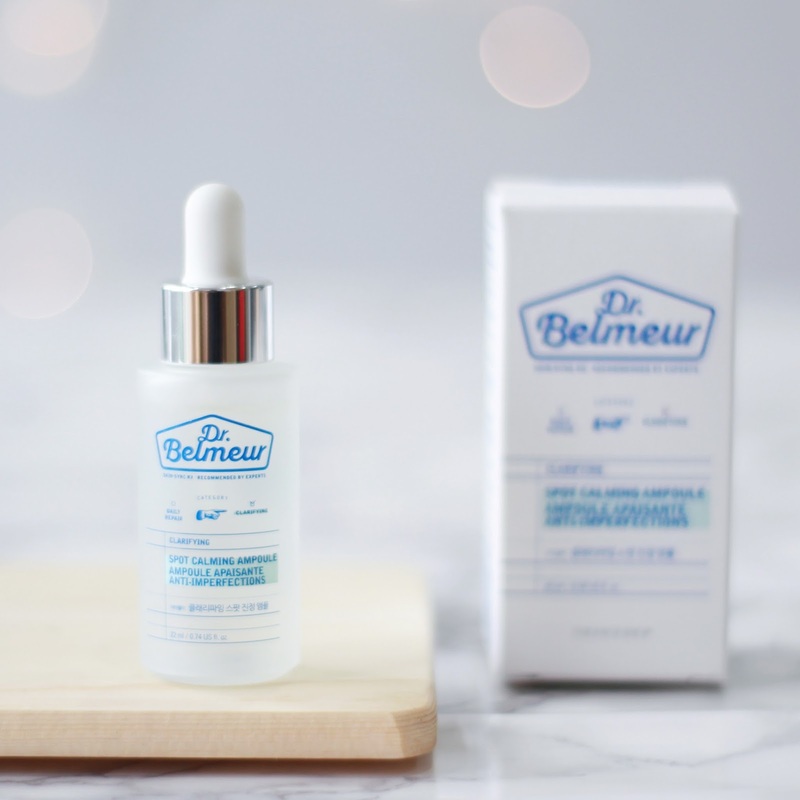 This ampoule helps to soothe the skin and out of all the products from the Dr. Belmeur Clarifying line, this one is my favourite! 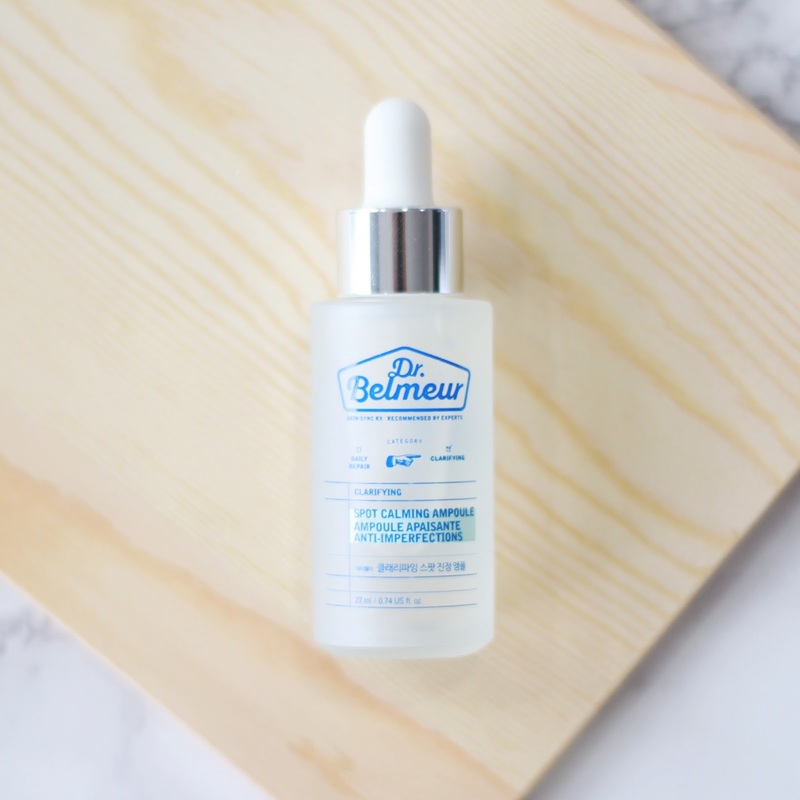 This has helped soothe some big breakouts from exploding, and I think it's really good for when you know that a pimple is on its way but it hasn't surfaced yet. The bottle is super chic and prettay btw! 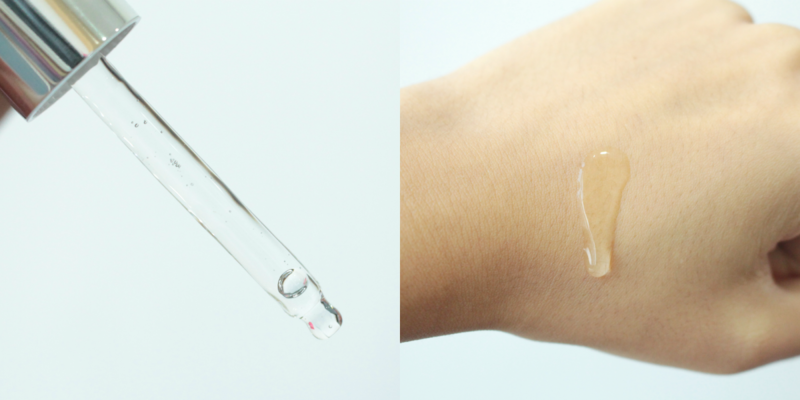 This ampoule and also has a light citrusy scent, has a clear colour and has a thick, runny gel consistency. It's pretty light but is the slightest bit sticky even after absorption. Usually I'll only apply this on my acne zones which are my cheek and forehead. I have noticed that this kind of halts the acne from forming, and its actually helping slightly with my acne scars! After spot treatment, I seal everything with a moistuzier. It comes in a 120ml tube, and at first I was thinking "wow, this is the first time I'm seeing a moisturizer in a tube instead of a tub". It then hit me that by putting it in a tube, getting the product out is more hygienic because the product isn't exposed to open air + I don't touch it anything except for the product that's squeezed out! 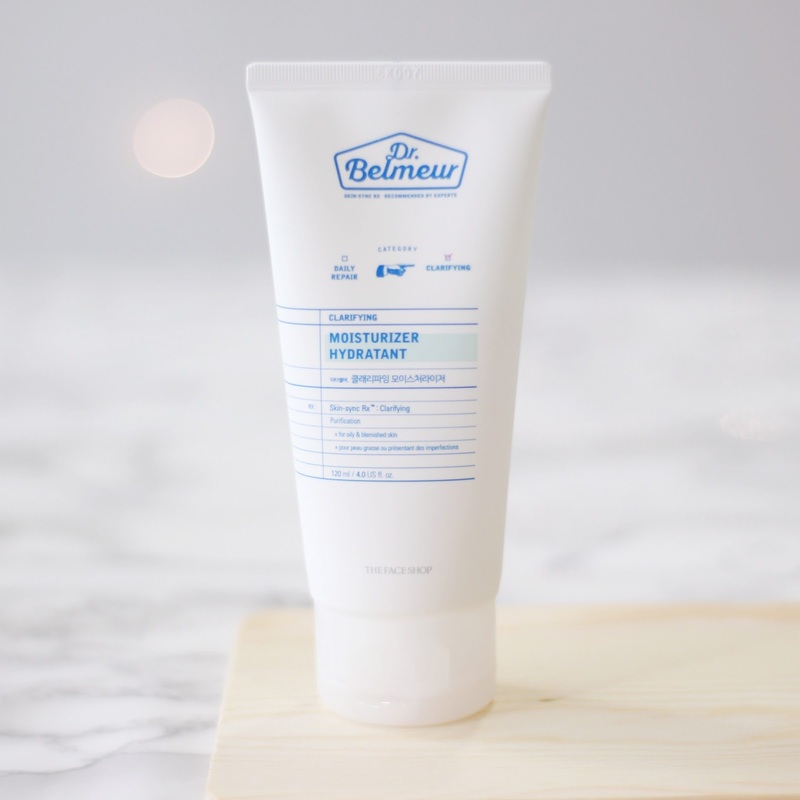 This moisturizer is very light and you don't really need a lot because it spreads quite well. Although its quite liquidy and gel-ly at first, once my skin absorbs it, it feels almost like nothing. Btw, it's also low-irritant and non-comedogenic! It's very refreshing and doesn't leave my skin feeling oily or greasy, which I love because I try my best to stay oil free most of the time. I dot the product on my face then rub it in, then finally I pat it in. 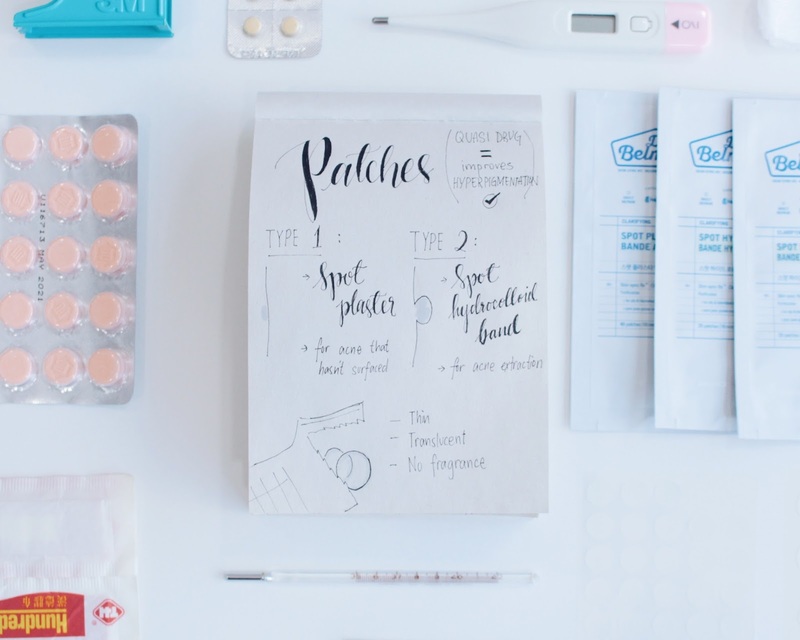 and there's 2 types of patches inside, the Spot Plaster Band and the Spot Hydrocolloid Band. 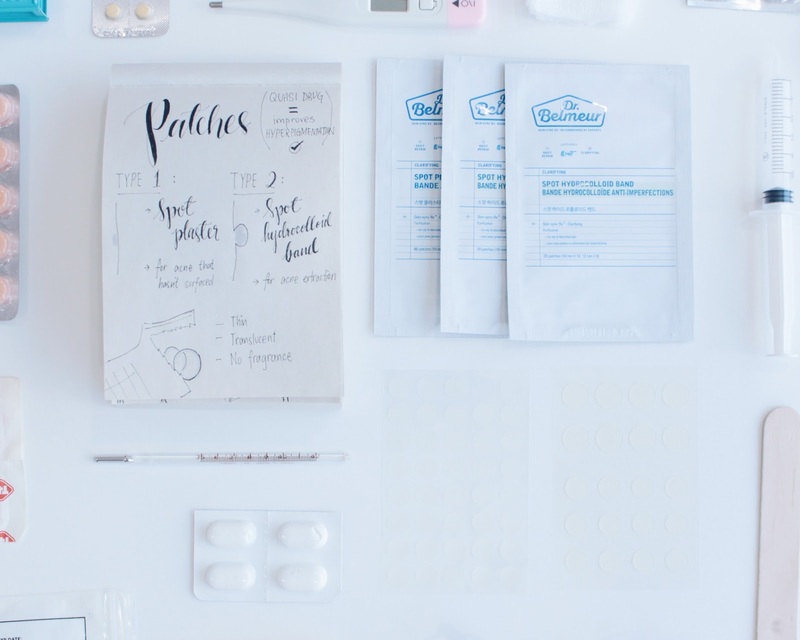 As you can see above, the kit comes with thee bags: 2 x hydrocolloid (containing 20 patches each) and 1 x spot patch (cotaining 40 patches), so in total you get 80 patches! 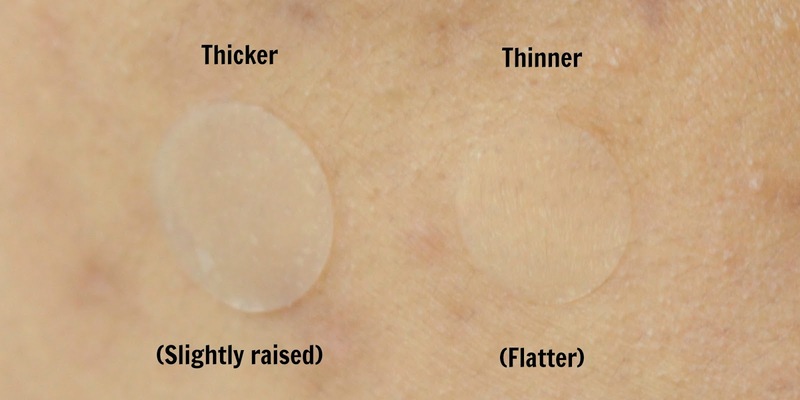 The Spot Plaster Band is the thinnest patch I have ever seen, and it's for acne that is almost coming out. 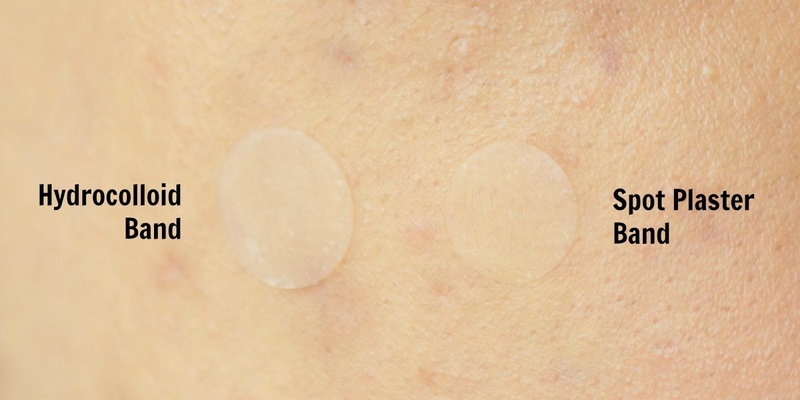 The Spot Hydrocolloid Band is thicker and it's for acne that has already surfaced. Basically what this will do is it will absorb the pus of your pimple so you don't need to pop it. 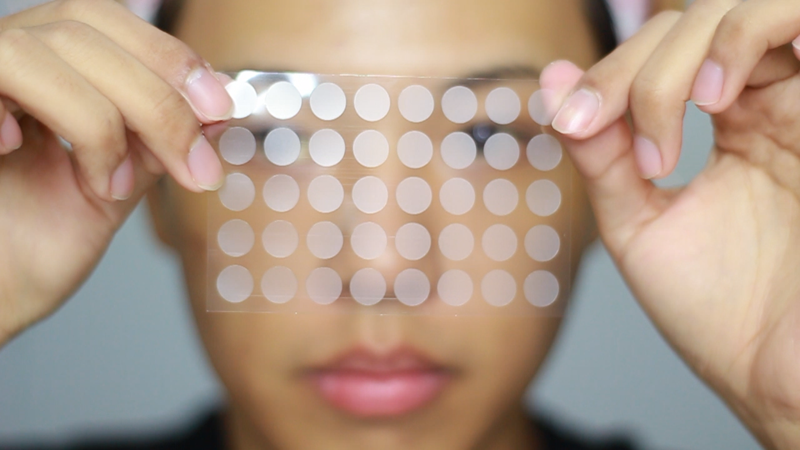 As you can see, the spot patch one is super thin and looks almost invisible! I actually had a had time taking a picture because it was only visible from certain angles. It's just that thin! The both feel lightweight like there's nothing on my face! 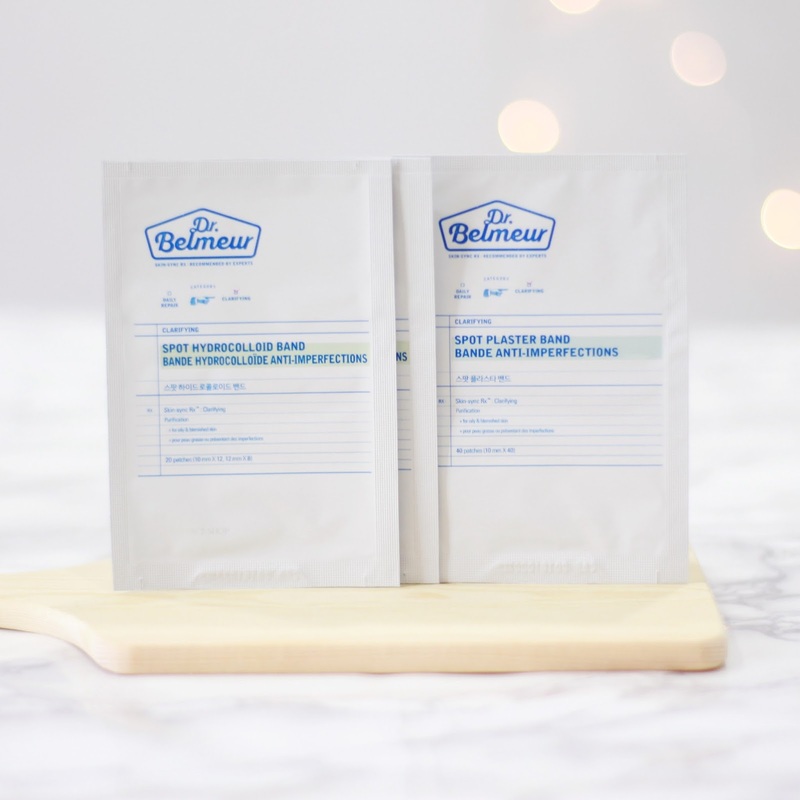 And that's it for my thoughts on each of the products from the Dr. Belmeur Clarifying Line! My final verdict would be that this line is highly suitable for oily skin and it really helps with keeping your acne at bay. The cleanser does a great job cleaning my face, the toner gets rid of extra oil well + the moisturizer hydrated my face and soothes my irritated/inflamed trouble areas. 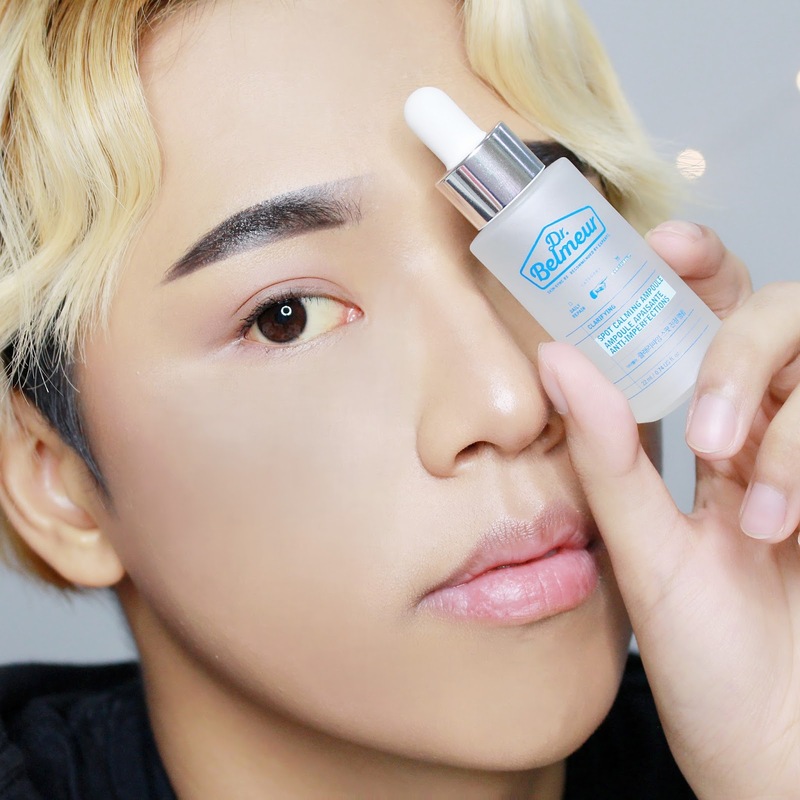 As I mentioned, my fave product out of the whole range is the ampoule! 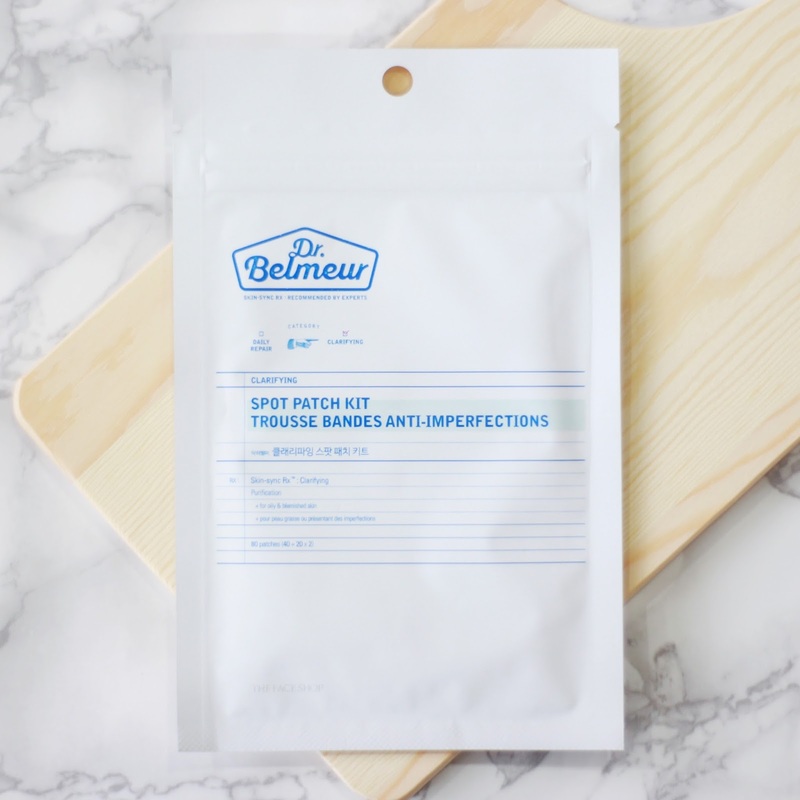 It's jam-packed with tons of great ingredients and I've seen the most effects in the shortest time frame with it. 1. Avoid touching your face and popping your pimples! This will only end up infecting your face more or lead to acne scars. This is why the patches are great because they absorb the pimples and even if you unexpectedly touch them, they're protected. 2. Avoid sodium as much as you can! 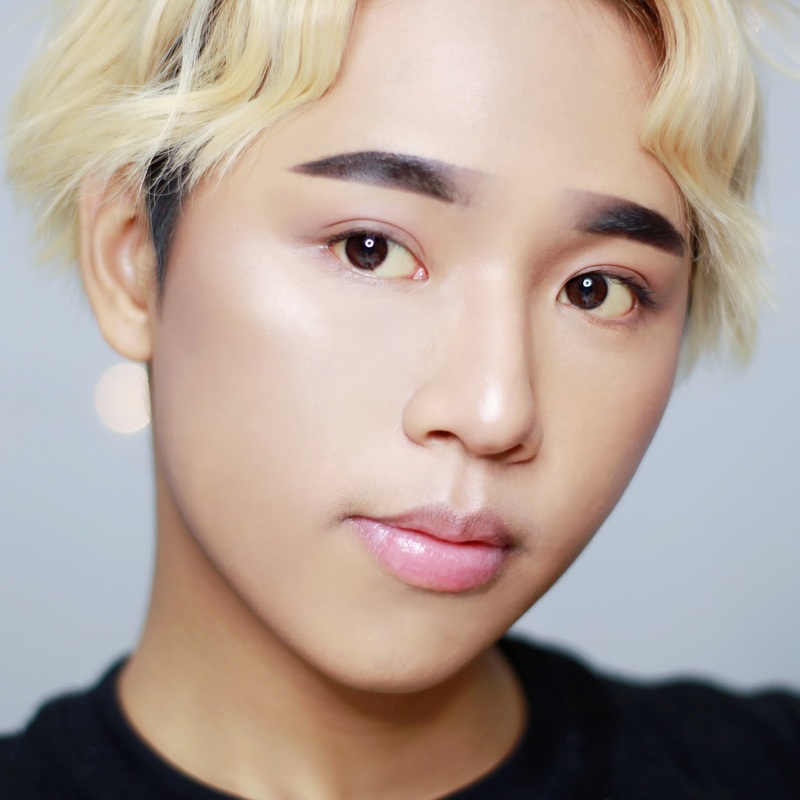 I used to eat a ton of cup noodles because I'm always broke, but as soon as I realized it was bad for me, my skin immediately got better! 4. Change your pillowcase very often! This is because your face touches it for a long period of time and it accumulates lots of dirt from your sweat, hair, etc. And that's all for this post! If you have any questions about the product, do leave them down below and I'll answer them asap! If you guys would like more info, check out the products on The Face Shop's official site by clicking here! You can also find them on their official FB page and IG account. Hi, I'm glad I helped! 😊 If you have any questions feel free to ask! i have the daily repair moisturizer. it is the best one that i've ever bought. it really moisturizes the skin and spreads easily on the face. thanks for adding the ampoule..i really want to try it..might be useful for hormonal pimples. Hi, thanks for the good review! 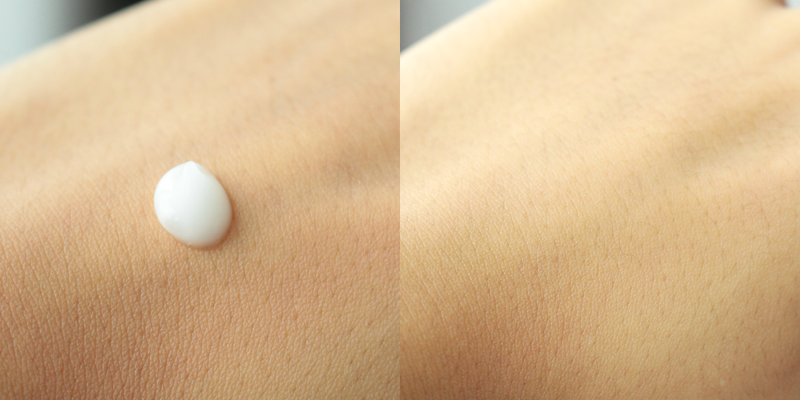 How many times a day do you need to wash your face with the foaming cleanser? I just got it today so I hope this product will help my oily face! Hi I have a dry combination and acne prone skin, so I cannot use products that will make my skin so dry, you think this is better for me than the repair line? Thanks! Hi! 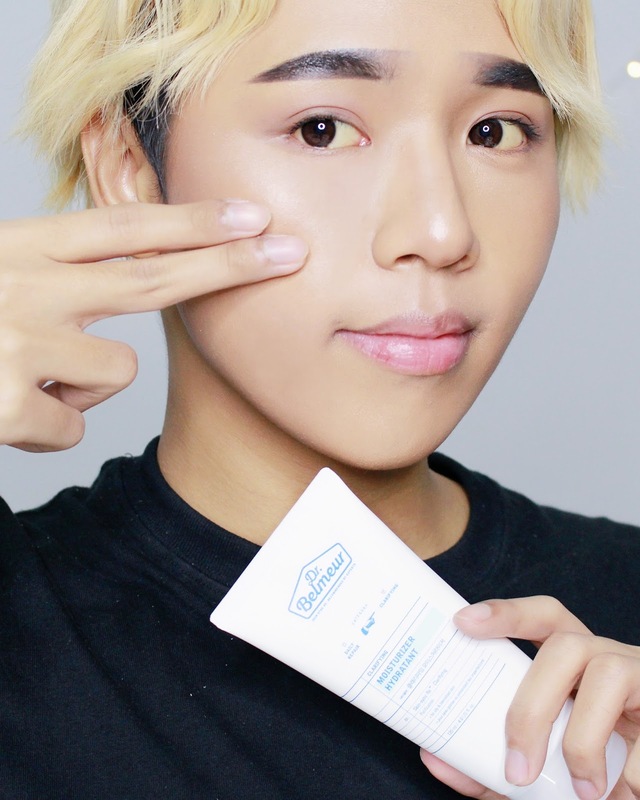 The Face Shop recommends the Clarifying range for oily skin so I think the Daily Repair would be better for you :) I felt like the products were quite hydrating though, so in the end it would depend on your personal preference and reaction to the products. I suggest dropping by a store and trying/swatching the textures for yourself! I love your review by the way and the video. Thanks for this! loved the review! thank you! 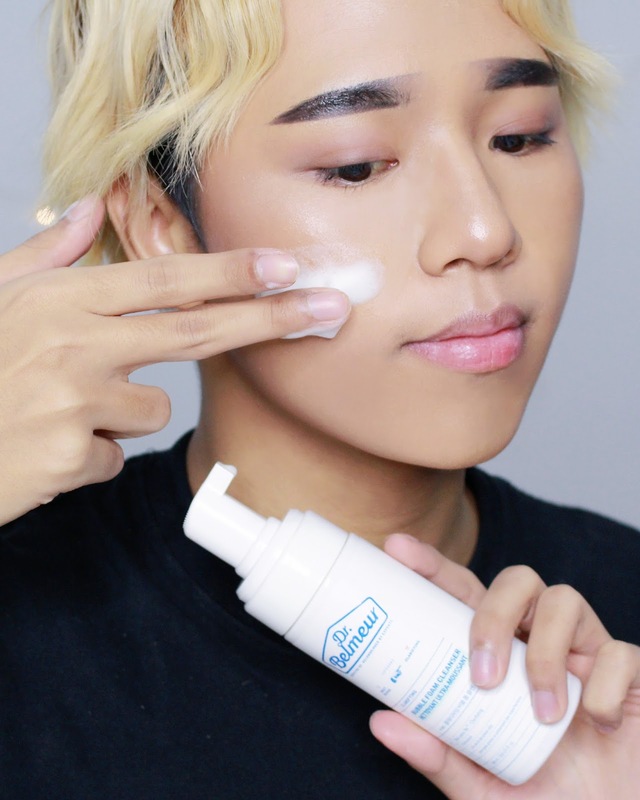 Hi, i just want to ask if it is possible to use the facial foam only to test if this line is effective on my skin. I have oily, sensitive and acne prone skin. I've tried so many product just to get rid my pimples to come out so i want to try this line but i'm hesitant if this product is effective to me. Thank you for the answer! God bless. Hi, yes of course! You can try to ask for a sample in the shop, or just purchase it to try for yourself :) I also have oily skin and I find that the cleanser works great with my acne! Great review! 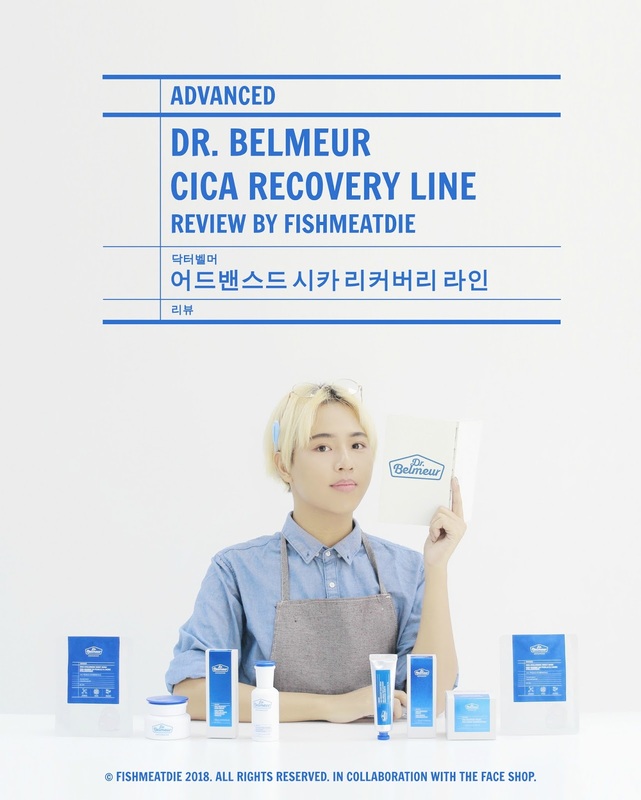 I was wondering if you had any insight on the Dr. Belmeur Advanced Cica Recovery Cream. I have a lot of scars/damage and was hoping it might have some effect on hyperpigmentation/scarring. Thanks! Is it really effective because im trying to find treatment for my acne. Hi.. Is it okay to use on a dry, sensitive and have pimples mostly on the chin, does it really work if you have that kind of skin? 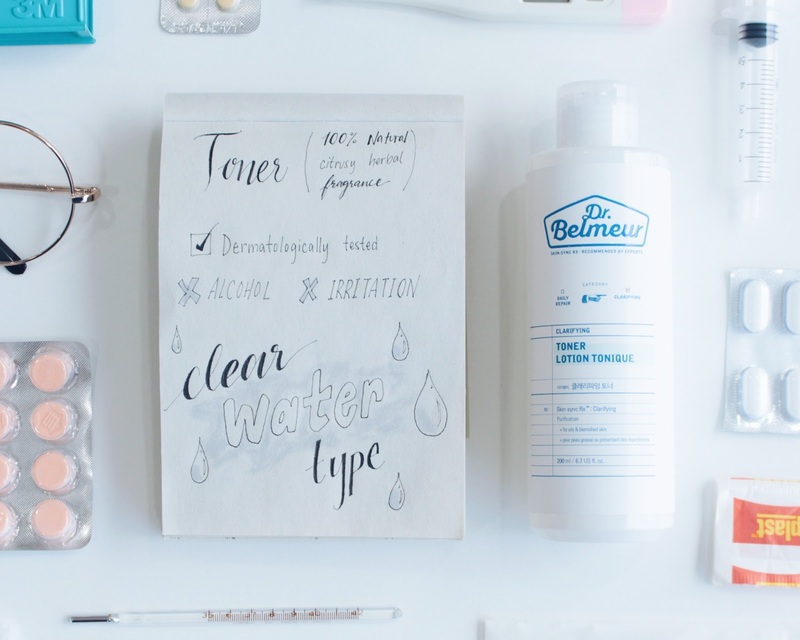 Hi, the Clarifying line was made for people with oily skin :) If you have dry skin, I suggest trying the Daily Repair line as that line was made with the same concept but with ingredients more suited for dry skin. 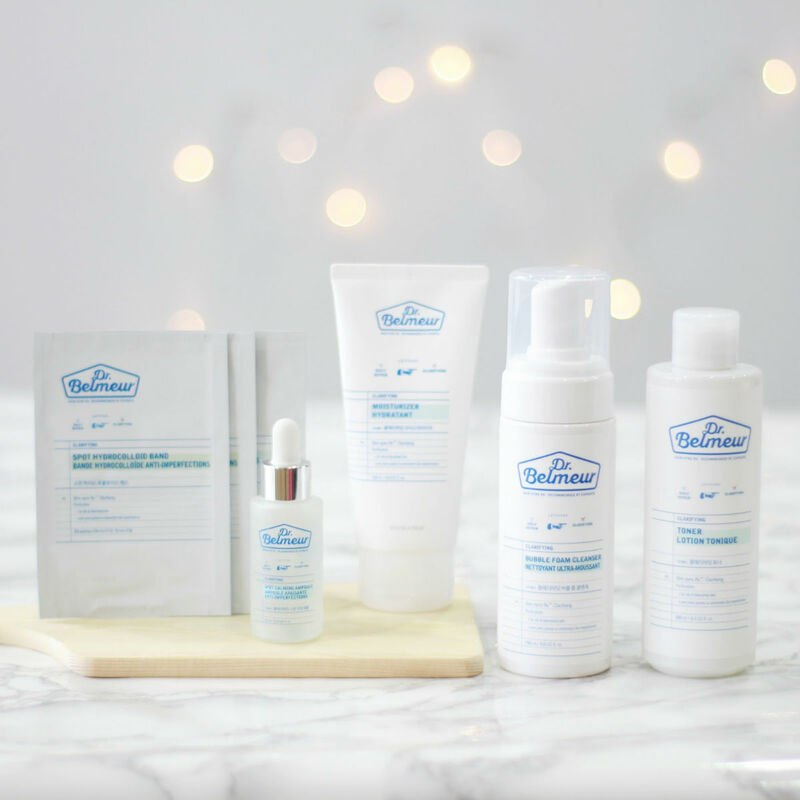 Dr. Belmeur also has some intensive products under the Advanced Cica line for people with sensitive skin, so you can check that out as well! :D Hope I helped!